The Center for Mindful Eating is a nonprofit, nonreligious organization that is governed by a multidisciplinary Board of Directors. Its purpose is to establish and communicate the vision and mission of the Center. In May 2006, the bylaws of the Center were ratified. The Center for Mindful Eating is grateful for the time and dedication that these individuals have agreed to contribute to this project. Lynn Rossy, Ph.D., is an author and health psychologist who specializes in offering mindfulness-based interventions for mindful eating, moving, and living. She is the Executive Director of Tasting Mindfulness, LLC. after spending much of her career at the University of Missouri System. She developed an empirically validated mindfulness-based intuitive eating program called Eat for Life which helps people have a healthy relationship with food and their bodies—decreasing binge eating while increasing body image, mindfulness, and intuitive eating. She teaches her class live onlive over Zoom to professionals and the general public and travels nationally and internationally to train professionals. Dr. Rossy published the concepts from the program in a book entitled, The Mindfulness-Based Eating Solution: Proven Strategies to End Overeating, Satisfy Your Hunger and Saor Your Life (New Harbinger, July 2016). Her book was named on of the top ten books of 2016 by Mindful.Org. She is also a Kripalu yoga teacher who teaches locally in Columbia, MO, and internationally at Pura Vida Spa in Costa Rica, completing her yoga teacher certification through the National Yoga Alliance Program at Kripalu in 2002. She completed a three year Community Dharma Leader Training through Spirit Rock Meditation Center in California in January 2008 and has been a student of Buddhist meditation since 1998. She completed MBSR teacher training from the Center for Mindfulness in Medicine, Healthcare, and Society in Massachusetts in 2004. Her greatest passion is helping people find delicious ways to eat and move their bodies, while discovering greater meaning and purpose in life. She loves to play the piano, dance salsa, eat fabulous food, and celebrate life with friends. She can be found anywhere by listening for her infectious laugh. Sign up for her monthly blog and listen to her mindfulness recordings at LynnRossy.com, be inspired by her posts on Facebook, or sign up for her daily tweets on mindful eating and living on Twitter @DrLynnRossy. You may email her at MindfulRossy@gmail.com. Cinzia Pezzolesi, PhD, is a Clinical Psychologist and Mindfulness Based Cognitive Therapist. Cinzia is also a senior lecturer on mental health and wellbeing. Cinzia qualified as mindfulness teacher at the University of Bangor (North Wales, UK), and trained as Mindful Eating trainer in Boston (USA). Cinzia has a PhD in Human Factors in Health Care and obtained her Clinical Psychologist degree from the University of Urbino (IT) where she is originally from. She currently lives in the UK, and over the years she has developed a strong research interest around wellbeing and mindfulness in various health care settings. Her areas of expertise include eating disorders, substance of misuse, anxiety and depression. Cinzia enjoys spending time with her family and has a strong passion for sport. She played volleyball professionally in Italy for over 15 years and she is now a supporter of the UK team ‘Polonia Volleyball’. Jenna is a non-diet nutrition therapist, writer, and meditation instructor based in New York City. At her private practice, Eat to Love, she helps people struggling with chronic dieting, disordered eating, eating disorders, and poor body image to move toward greater peace, health, and wellness using a combination of Intuitive Eating, mindfulness techniques, and meditation. She was trained to teach Shamatha meditation by Susan Piver, creator of the online meditation community, the Open Heart Project. Susan and Jenna co-lead an online Meditation Instructor Training course to teach dietitians, therapists, coaches, yoga teachers, and others to teach meditation skillfully and responsibly to those they work with. Through the Open Heart Project, Jenna also leads the Mommy Sangha, a weekly online gathering for moms who meditate. A Certified Intuitive Eating Counselor since 2013, Jenna leads the monthly free Chat with an Intuitive Eating Pro series, amassing an archive of more than 30 practical discussions and never failing to interject how and why a meditation practice complements an Intuitive Eating practice. Jenna is the author of Understanding Dietary Supplements, a handy guide to the evaluation and use of vitamins, minerals, herbs, and botanicals for both consumers and clinicians, and more recently the memoir Drinking to Distraction. Her third book, Eat to Love: A Mindful Guide to Transform your Relationship with Food, Body, and Life, will be released in January, 2019. Linn Thorstensson, Dip NT mNTOI, is a registered Nutritional Therapist, based in Co.Cork Ireland, with a special focus on helping people heal their relationship with food and eating, through a mindful eating and self-compassionate approach. She is also a food blogger, recipe developer and photographer and a meditator. Linn holds a three year PGDip in Nutritional Therapy, certifications in mind-body medicine and Mindful Eating (MB-EAT). She is one of three directors for the board of Nutritional Therapists of Ireland and is really looking forward be part of the continuing growth of The Centre for Mindful Eating, as a new board member. When she is not found reading, writing or in clinic, she tries spending most of her time in nature, with her dogs, with friends and in deep conversations. 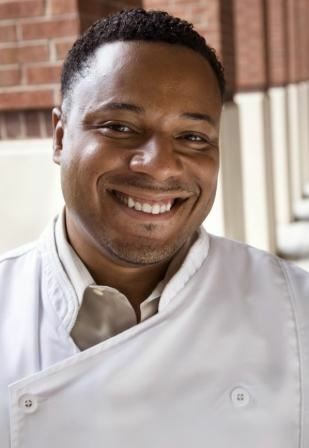 At 14 he received his first job offer as a personal chef through a high school vocational work program and after 6 years of working in a variety of restaurants in and out of New York City decided to attend the Culinary Institute of America and graduated in 1989. With a focus on eating lifestyles and trends in new menu alternatives, he began food research, development, and consulting for companies; General Mills, Hilton Hotels, Aramark Corporation, Specialty Restaurants and a host of private clients. Alex has also created one of the most unique consortiums of chefs under one group (ALS Culinary Concepts) for consulting in areas of menu development, R&D, start up operations, systems and controls, training, food manufacturing, business planning and concept development. While working in restaurants that broadened his experience in different cooking styles as well as cuisines which included Cajun and Creole, Holistic, Latin and American fusion. In 1993 Alex Co-founded the BCAGlobal which dedicates itself to Education, Awareness, and Exposure for young minority students seeking careers within the culinary and hospitality industry. Alex has enjoyed guest appearances on Good Morning America, CBS Early Morning Show, and the Food Network. He was a 2001 Doctorate of Foodservice recipient from the North American Foodservice Equipment Manufacturers, a Distinguished Visited Chef (DVC) for Sullivan University, 2011 Business Leader of Year from the Marcella Brown Foundation, in May 2012 received the distinguished New York Institute of Technology Global Leadership Award and served on the American Culinary Federation as Board member Accreditation Commission. In 2014 Alex was selected as a 2014 National Kellogg Fellow in Leadership in the Racial, Equity and Healing (REH) cohort. With over 35 years in the restaurant and hospitality field Alex continues his use of knowledge and experience as a foundation for further growth and development in the culinary industry and continues the important social change work using food as a nexus and mindful eating as a platform to improve lives in the community. Cuca Azinovic is a certified mindfulness teacher and co-active coach specialized in mindful eating and self-compassion, based in Madrid, Spain. She has a Masters degree in Mindfulness in Health Contexts from Complutense University. Certified Teacher of the Mindful Eating - Conscious Living (ME-CL) program and in the Mindful Self-Compassion (MSC) program at the University of San Diego, she has been implementing both programs since 2014 in Spain. She has also completed professional training in Mindfulness-Based Eating Awareness (MB-EAT) and in Compassion-Centered Therapy (CFT) for eating disorders, developed by Dr. Ken Goss & Paul Gilbert. She has been working for Nirakara Mindfulness Institute in Spain since 2016, with responsibility for the development of mindful eating, for professionals and lay people. She joined TCME as a member in 2012, volunteering for few years to revise our programs. In 2016, she started working for TCME, providing administrative support, and in April 2018, she joined the Board to promote the Spanish-language development of TCME. She adores her family (including two little dogs), her allotment in which she meets with nature, and the natural processes of life and her garden. You will find more about her, her work, and her personal path on www.bienestarconsciente.es. Caroline Baerten, the founder of MeNu, Centre for Mindful Eating and Nutrition, in the heart of Europe (Brussels). She works as a Mindfulness-based nutritionist/RD, integrative psychotherapist and is also a qualified chef. She is the first certified Mindful Eating, Conscious Living teacher (ME-CL) worldwide and offers additionally Mindfulness-Based Stress Reduction and Mindful Self-Compassion courses to her clients. Since 2012 she has created an international platform for mindful eating teachers in Europe. In her institute, mindful eating training programs (ME-CL) are facilitated for European healthcare professionals and mentoring in mindful eating is offered through e-coaching. She is part of several research projects where the impact of mindful eating on health, wellbeing and ecology are studied. Caroline’s personal meditation practice is under the guidance of Vietnamese zen teacher Thich Nhat Hanh at the European Institute of Applied Buddhism. 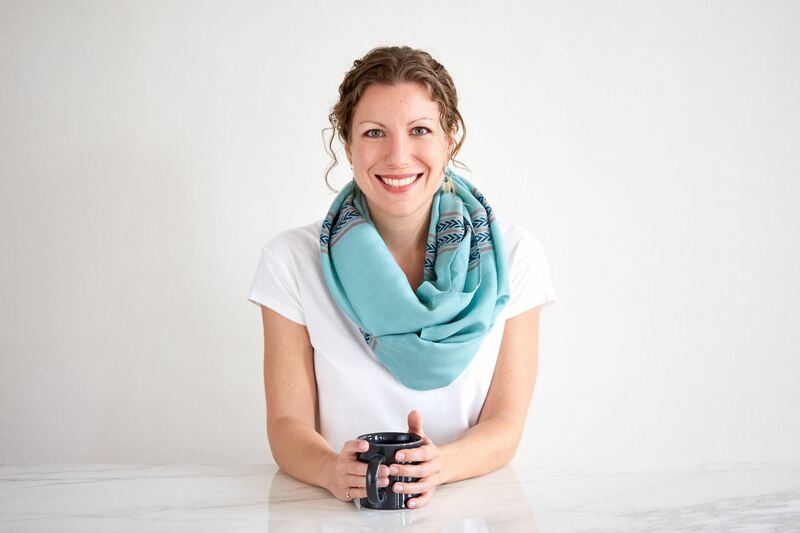 Caroline’s interest for mindful eating is intimately connected with her passion for the earth and expressed by urban gardening and pottery. In her life and work Caroline encourages mindful food choices based on culinary pleasure, compassion and sustainability. Cecilia Clementi, PhD, Psych.D, is a Clinical and Health Psychologist and psychotherapist. She is also teacher in Mindfulness based protocols (MBSR, MBCT, MBRP, MB-EAT). Cecilia qualified as mindfulness teacher at The Italian Center for Mindfulness studies (CISM) and trained as a mindful eating teacher in Bruxelles (Belgium). Cecilia has a PhD in Clinical Psychology at the University of Bologna (Italy) where she also obtained her Clinical and Community Psychology degree and her Specialization as Health Psychologist and psychotherapy. She has also qualified in Dialectical behavioral therapy (DBT), Eye Movement Desensitization and Reprocessing (EMDR), Acceptance and Commitment Therapy (ACT) and Compassion focused therapy (CFT). Her areas of expertise include eating disorders, obesity, addiction, trauma, mood and anxiety disorders. She lives in Italy and she works as psychotherapist and Mindfulness Teacher both privately and at San Nicola’s Addiction Center. She also collaborates as researcher and tutor with The Department of Psychology of the University of Bologna, and as a trainer in Mindfulness based protocols with CISM and other Associations.Cecilia has been practicing Nichiren Daishonin’s Buddhism for 15 years. She is keen on skating and dancing and she is also a volunteer clown therapist in the Hospitals. A registered dietitian nutritionist, Marsha has been a voice of reason and a thought leader for the last three decades in helping women move away from restrictive notions of food and health so that they can better adopt a sustainable approach to eating well. She has spent the last three decades working to help women give up dieting rules and understand how to truly take care of themselves through mindful eating and living. Her mission is to help women learn to enjoy eating and living well, without worries about health and weight. She encourages women to embrace their love of food, which you might call being a foodie. If so, it’s appropriate because being a foodie means you pay attention when you eat -- a recipe made in heaven for eating well. Since 1986, Marsha has been a part of Green Mountain at Fox Run, the Vermont women's retreat that pioneered the non-diet approach to health and healthy weights. An accomplished writer, she has written hundreds of articles for popular magazines, newsletters and professional journals, and has worked extensively on a national basis to produce curricula and pamphlets to educate the public about nutrition and about the impact of dieting and the diet mentality on eating behaviors, including binge eating and emotional eating. Long active with several national professional associations, Marsha recently stepped down from the board of the Binge Eating Disorder Association in order to serve as the president of The Center for Mindful Eating. You can find Marsha on Green Mountain's website, which features her writing in articles and on her blog A Weight Lifted. You can also reach her on Twitter @MarshaHudnall and on Green Mountain at Fox Run's Facebook page, or email her at Marsha@fitwoman.com. Dana Notte is a non-diet dietitian and nutrition educator who aims to help people heal their relationship to food, body, and self through non-diet, weight-inclusive, and mindfulness-based approaches. She specializes in working with individuals seeking support to heal from chronic dieting, disordered eating, and eating disorders. Additionally, she actively presents at conferences and professional trainings on topics related to mindful eating and non-diet approaches to care. Much of her training has been self-guided and on-the-job. She has spent years reading, researching, and attending trainings and conferences related to mindfulness, mindful eating, and weight-inclusive care. She is a former facilitator of the Am I Hungry® Mindful Eating Program and spent several years working for a non-diet, mindfulness-based wellness retreat, where she honed her skills as a nutrition educator, counselor, and mindfulness practitioner. Dana is now the owner of ThrivInspired Nutrition, a Burlington, VT based nutrition counseling practice offering individual in-person and virtual nutrition counseling services, group workshops and retreats, and community, corporate, and professional speaking services. Dana is also part-time faculty at the University of Vermont where she teaches in the Nutrition and Food Sciences Department. Recognized as an expert in the field, Dana has been quoted in several major publications including TIME, Reader’s Digest, Health, and EatingWell. Outside of her professional work, you can find Dana in her kitchen experimenting with new ingredients and creating new recipes, with her nose in a Lonely Planet book planning her next international adventure, practicing staying present on the mat at the yoga studio, or enjoying all that the outdoors of VT have to offer. Alice J. Rosen, MSEd, LMHC, is the founder of "The No-Diet and Self-Led Eating Workshops" and "The Conscious Cafe'. She is a faculty member of the Institute for Meditation and Psychotherapy, a Certified Internal Family Systems Therapist, and former Director of Education for "Feeding Ourselves (SM)". Alice initially trained as an expressive therapist and presently works as a psychotherapist and educator specializing in eating and body image issues. She also addresses more general issues such as anxiety, mood disorders, life transitions, and chronic pain/stress. Mindfulness is a key reference point in Alice's practice. She started meditating in 1974. In 1979, during a mindfulness meditation retreat, in the midst of 17 years of conflict with food and her body, she experienced being calmly in charge, and fully satisfied. In eating mindfully, she discovered that she had an inherent wisdom about when, what and how much to eat. Alice leads mindfulness-based experiential workshops and groups designed to instill a healthy and satisfying relationship with food. (www.TheConsciousCafe.org). In addition, her work, using the Internal Family Systems Model helps people understand and heal the emotional underpinnings of un-attuned eating. She has authored and produced the CD set, The Feeding Ourselves Method, A Guide to Achieving a Healthy Relationship with Food. Her publication credits include her column, "BODY INTELLIGENCE REPORT" which appeared for three years in the journal-letter, FOOD ISSUES. Alice loves good food and considers herself an intuitive cook. Besides her work, she has a passion for nature and the outdoors, in any weather, and is admittedly addicted to being near and in the water. We’d like to express our appreciation to our former board members and others who have contributed to The Center for Mindful Eating.